We LOVE books in this house! Always have, always will. Both of my girls have been book worms their entire lives, and you can often find my husband and I with our noses in a good book at night! (I wish I could say the same for our littles, but they are WAY too busy to sit for a book...or for a page of a book. *sigh* Someday!) 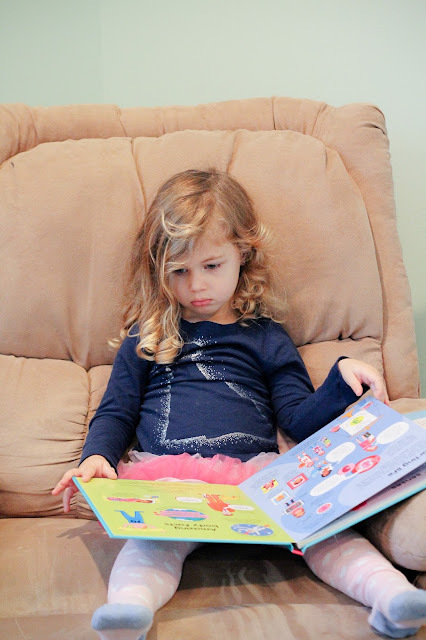 I always love finding out about kids books we haven't explored yet, so I thought it would be fun to share some of the current kids lit on rotation in our home! 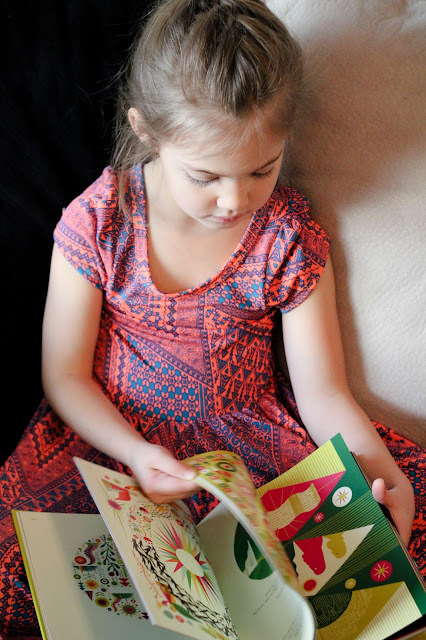 I would love to hear what some of your current favorite kid's books are! Tim Bugbird's Dessert Fairy Books We absolutely love these books! We have had Izzy the Ice Cream Fairy for several years, but have started collecting several more of these books this year and they are just so cute! I am hoping to eventually add them all to our collection, and they are really affordable books, so it shouldn't be too hard! 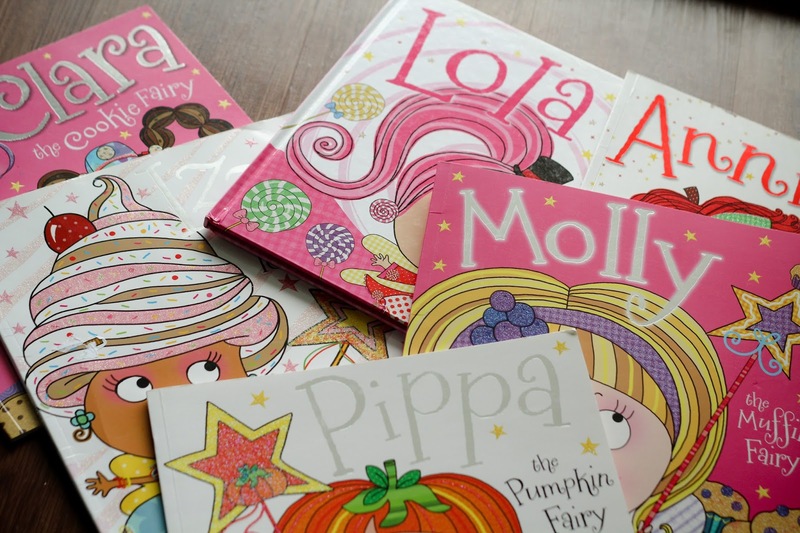 I think these books make great gifts for little girls, if you ever need something easy for a birthday party or something! Amazon has most (if not all) of these books! Why we love them: The illustrations are unique and very engaging. Cute rhyming stories. Every book has a great message, like working together to be successful, being careful with your words, being persistent, etc. One of my FAVORITE things about these books is the diversity you see in the illustrations. So many different beautiful skin tones in each book, and that is something very important to our family! 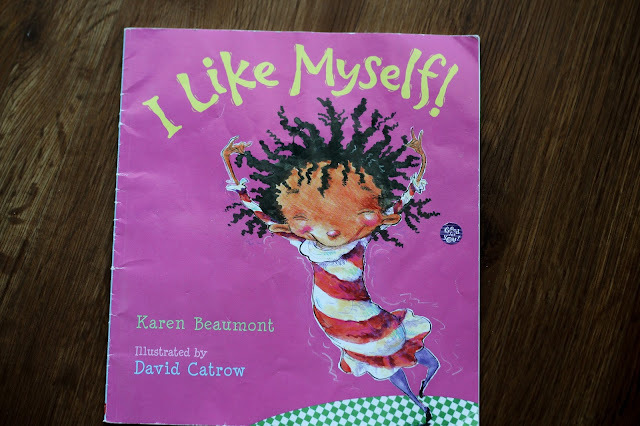 The Biggest Story This is one of those books that my children maybe don't fully comprehend yet, but I think it's such a good starting point for them and we'll continue reading it and having conversations about it throughout the years! (Here's the Amazon link) Why we love it: Absolutely stunning illustrations that we all enjoy looking at! We love that it tells the story of the gospel and ties the entire Bible together in one big story. It touches on many of the shortcomings of Biblical characters, which could be seen as a negative, but I think it helps my kiddos to understand how much we need Jesus. Mercy Watson I don't know where I first heard about these books, but I am SO glad we checked them out! Our whole family fell in love with the characters. 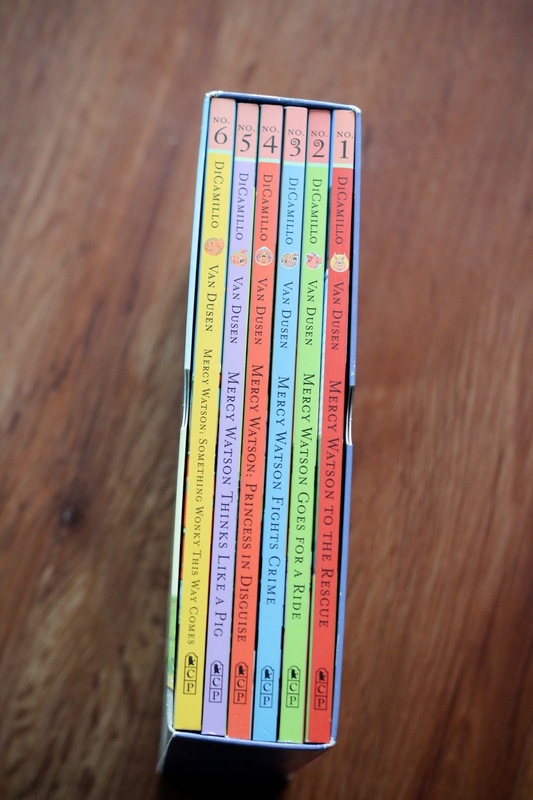 My girls often pretend play with characters from Mercy Watson, or "Mercy Wapson" as they call her ;) We flew through each one when we would check them out at the library, and we ended up getting my oldest daughter the boxed set for her birthday so we can keep coming back to them! They are early chapter books, and we do them as read alouds during school time or at night. 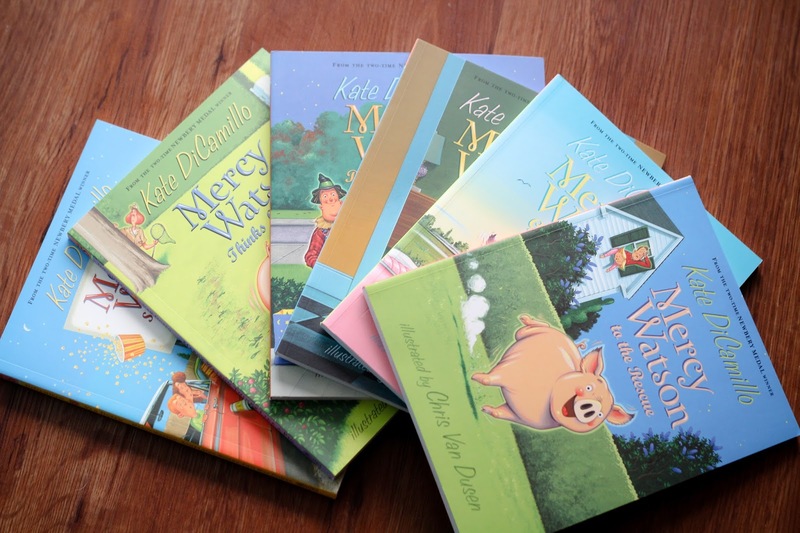 The brief synopsis is that these books are based on a pig named Mercy Watson who lives with Mr. and Mrs. Watson. She is basically like their child and they dote on her and call her their "porcine wonder". Mercy LOVES "toast with a great deal of butter" and is often investigating something or another and annoying the elderly neighbor, Eugenia Lincoln. The books are just a hoot...such cute story lines with memorable characters every kid will love! (Amazon) Why we love them: I probably already gave it away, but we love that these books are funny, easy to read, have hilarious story lines and such fun characters. The illustrations are so cute and very vivid, too! I love that they have been a really great introduction to read alouds. There are still pictures on most, but not all, pages, so my kids are starting to get a little practice with imagining the stories as I read them! Five Minutes Peace: This was one of my favorite books as a little girl! I'm not sure why I liked it so much, but my girls like it just as much! We found it a few months ago in some of my things and have been reading it over and over again, ever since! It is such a cute little story AND I am so excited-when I was looking it up on Amazon just now, I saw there is a whole collection of stories with this family! I had no idea! 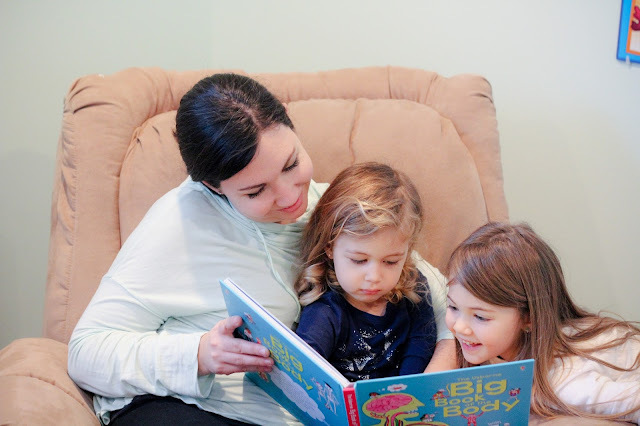 The story is about a Mama elephant who just wants 5 minutes peace from her 3 little ones, but you know she didn't get that. 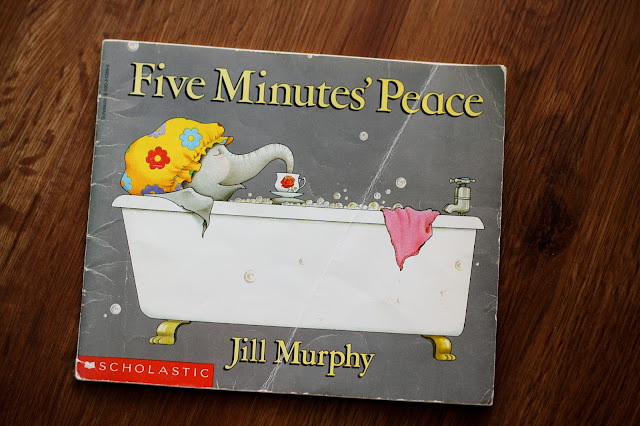 It's a funny telling of how the kids try to get Mom's attention during her "peaceful" bathtime. Why we love it: The characters are relatable-my kids enjoy seeing the Large kids hobbies and personalities. Obviously as a Mom of 4, I can relate to not being able to do A.N.Y.T.H.I.N.G. alone! It's a super nostalgic book for me since I have so many memories of my mom reading it to me as a little girl. 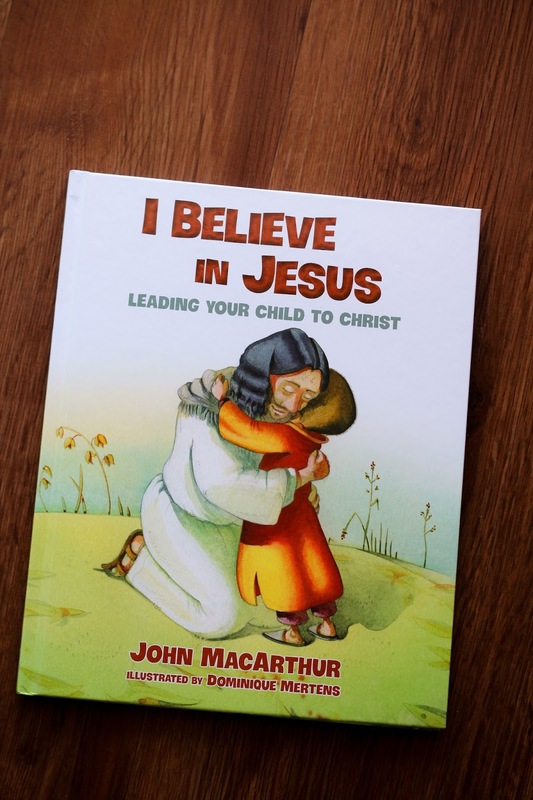 I Believe In Jesus: Leading your child to Christ: I first heard about this book when Callie reviewed it a few months ago. I really respect that Callie always does her homework on how theologically sound books and resources are, so I knew it was a recommendation I could trust and was excited to get it in the mail! The book is a basic explanation of the Gospel for children. 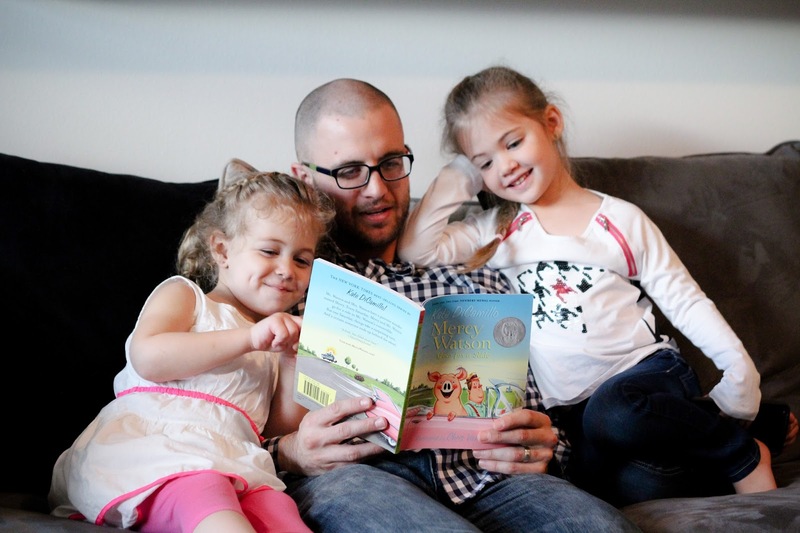 Why we love it: I love that it is an easy way to continue Gospel conversations with my kids. It's a great conversation starter and explains the whole Gospel to them in an easy to understand way. My kids love it because it talks about all the things we talk to them about-Jesus, Heaven, sin, His death & resurrection--but in ways that most kids books don't do. I think it really brings it to life for them and is starting to help them make great connections! The Princess In Black Collection: The Princess in Black books (I believe there are currently 4, but I hope they make more soon!) are really fun, easy chapter books about a Princess who moonlights as a superhero. My girls are very into superheroes right now so they really enjoy these books! These are another set of books we have used as read alouds during school time. Why we love them: Not to sound too cliche, but "girl power". I love books that show my girls that they can be strong and super, too! Princesses are fun, though my girls have never much been into them, but superheros are just awesome! My girls are really into them this year, so they love that the Princess goes out to fight crime in secret, but can still be a girly girl, too! 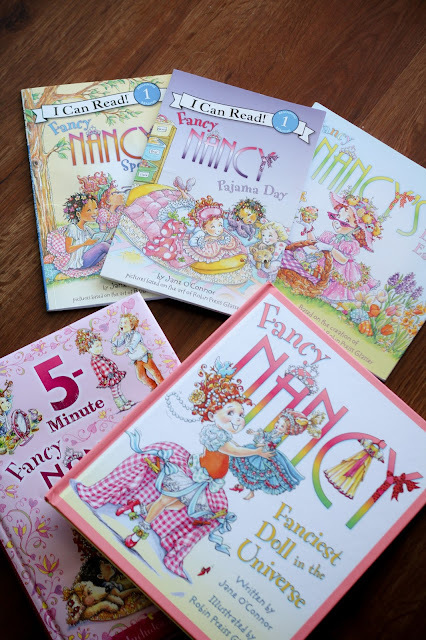 Fancy Nancy Series: Fancy Nancy is a little girl that LOVES being fancy! She is always putting on tea parties, using fancy words, and coming up with something creative. 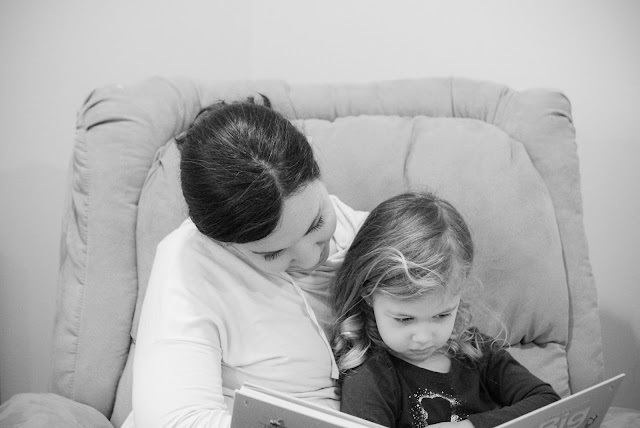 Why we love them: I love them because they teach my daughters big words! Nancy uses "fancy" words and then explains what they mean. I have noticed my girls using a lot of these words in their vocabulary, which always makes me smile. The girls love them, because Nancy is always up to something fun! 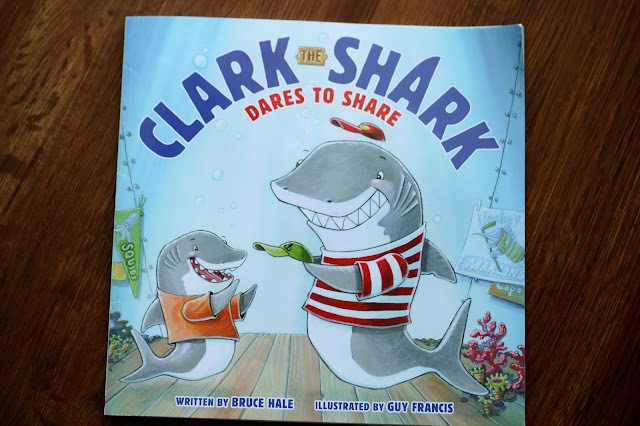 Clark the Shark Dares to Share: Clark is a shark who needs some help remember that sharing is a good thing. The story is super cute and really funny. Why we love it: As a mom, I love every reminder my kids can get about sharing! My girls really enjoy the story and silly characters! I Like Myself: This story is about a quirky little girl who talks about all of the different parts of her, and how much she likes them! We have had this book for a few years and have yet to grow tired of it! Why we love it: We love all of the silly words and traits this child has, and I love that it teaches my girls to be proud of who they are! Not just of their bodies, but of their minds and personalities, too! Veggies with Wedgies: This hilarious book is about a crop of veggies who want something to wear, but nothing fits right. They decide to try on their farmer's underwear, that is hanging on the clothes line above their garden. Why we love it: It's a book about vegetables wearing underwear. My kids think it's hilarious. I think I'll just leave it at that!